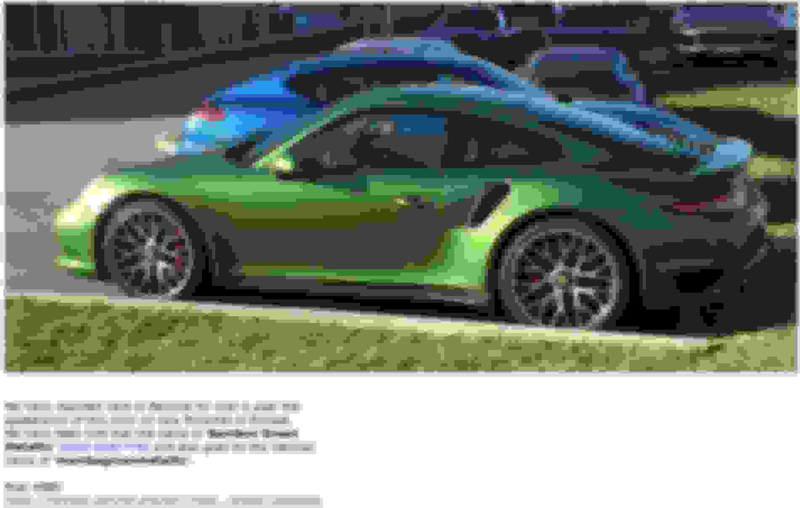 Mamba is a Panamera color. RS should be non-metallic. 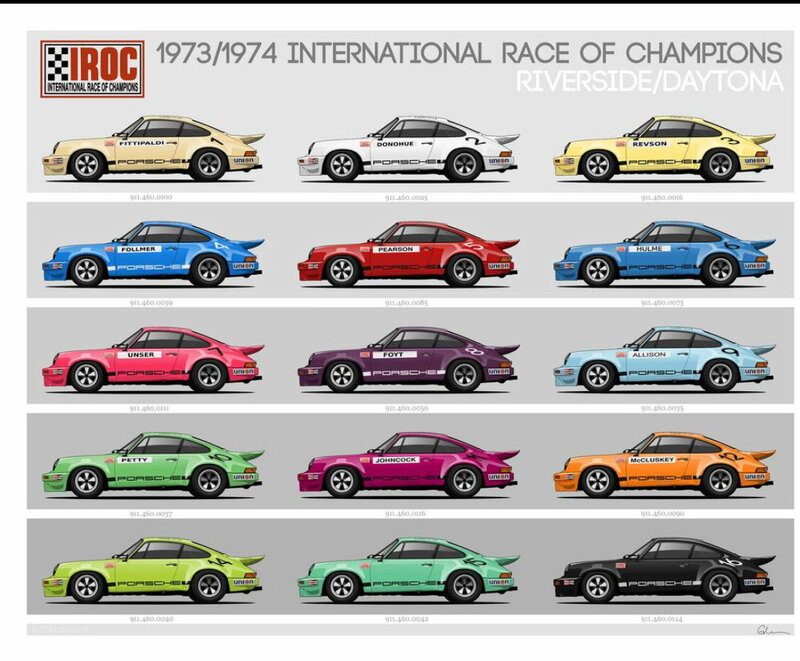 Just offer the original IROC color palette and be done with it. Good point and it's a normal metallic for $830, not even a special color. I can give you 12,830 reasons PAG doesn't offer voodoo blue as a standard/special color. u clearly do not understand germans! 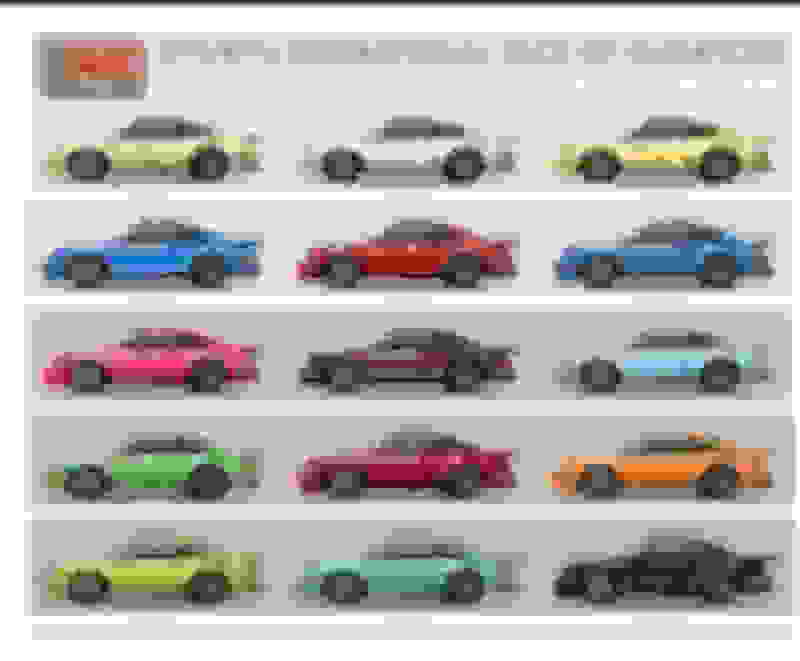 If that’s true and this is the color expect demand for green RS’s to collapse. Not that anyone cares but I had an interesting spec adventure with the 3RS. I have a relatively early allocation with a sept build date and I had submitted what I refer to as a reverse lizard spec, as in black with black/green wheels and the green interior. This was a heavy spec with almost every box checked and WP ... iirc it was in the mid 230s. Then one of my neighbors who lives about five houses down from me got an allocation and decided to clone my spec. Not out of coincidence mid you, he did it cause he liked mine and wanted the same thing. It's not that I mind or can control other people having the same spec as mine, but on the same street ffs, and with green accents? We're going to look like two guys dating with matching bowties, ugh. Anyhoot, he wouldn't budge on his spec so I had to redo mine. I went for a mid level spec in white with no WP and just the must have stuff like all performance options, black headlights, leather, and that's it. It came out to a $210k build so in the end my neighbor ended up saving me $25k. I am wondering though if I made a mistake letting go of WP when I still had the chance to get it. It wasn't even a matter of $, I just can't cope with the black hood/roof contrast against light colors. It was fine when the car was black but once that was taken away because of the aforementioned nonsense I just couldn't do it. Plus it really is a silly amount of money to spend for a few pounds, it's really $18k for nameplate cred. Alright well it's obviously moot now, I just hope I don't regret passing on the WP. The build locks on the 24th and the only thing I'm still pondering is whether to do chalk instead of white ... both look gorgeous sans WP. It might be good to have one that's the same nearby. No officer, that wasn't me, must have been my neighbor!